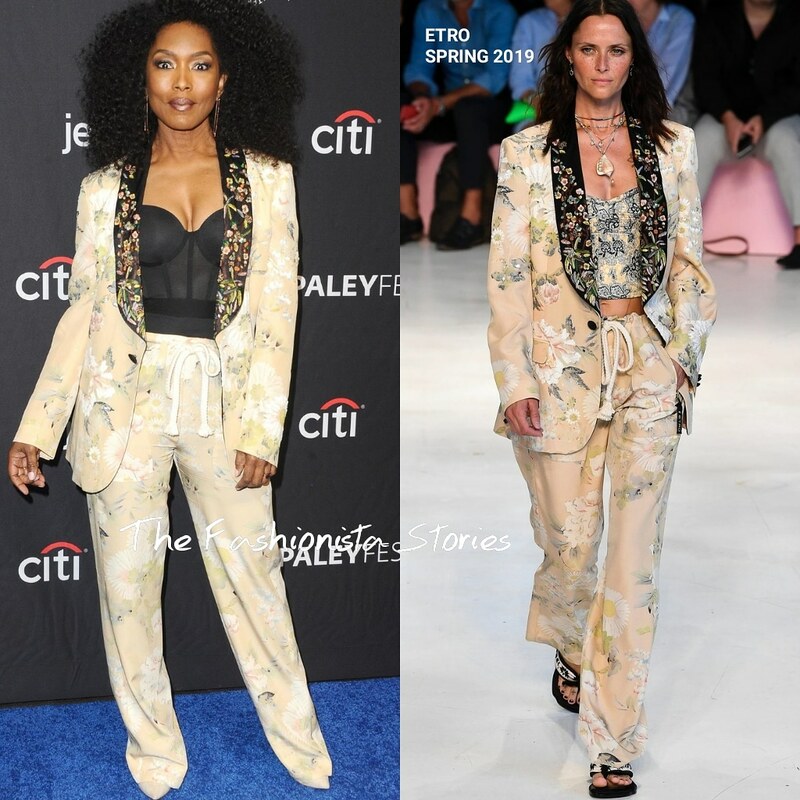 Angela Bassett stepped onto the blue carpet yesterday evening(March 17th) for the 2019 PaleyFest LA Presentation of Fox's 9-1-1 at the Dolby Theatre in LA. Power suits continue their reign on the red carpet and Angela opted for a floral piece from the ETRO SPRING 2019 collection. The drawstring waist on the pants adds a sporty vibe to her feminine floral suit, white the black bustier, gives it an sultry touch. My only issue here, is that I wish the pants were hemmed, which seems to be an ongoing thing with celebs on the carpet. Other than that, this is a great look, which was topped off with a flawless beauty look, ALEXIS BITTAR jewelry and ivory pumps.